Guests will need to take the earliest flight from Beijing to Xi'an – it will depart from Beijing around 7:30 a.m. and takes about 90 minutes. Upon your arrival in Xi'an, our local tour guide will greet you at the airport. Immerse yourself in the history of Beijing with the assistance of your own personal guide! From there, our tour of Xi'an begins. 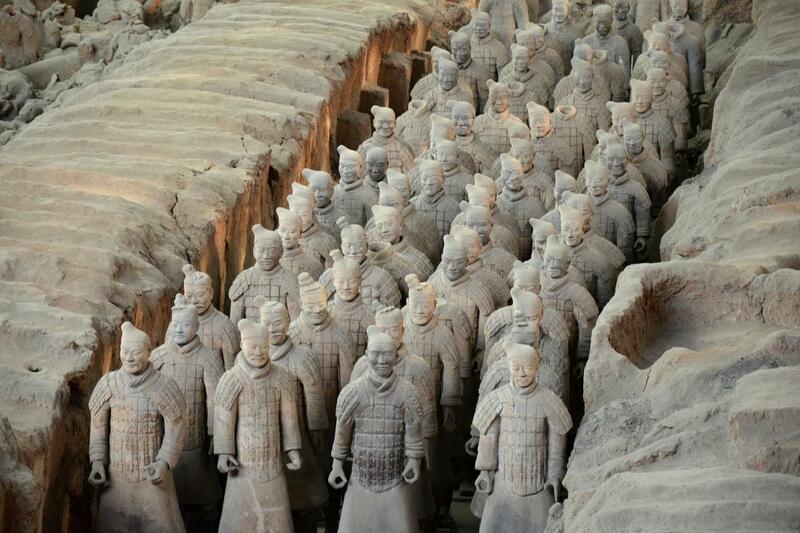 Driving for about 90 minutes, we will arrive at the Qin Dynasty Terracotta Warriors and Horses Museum. Reputed as one of the eight wonders of the world, the Great Emperor Qin Shi Huang’s 2200 year old, under ground army contains over 8000 terracotta warriors and horses. After a delicious Chinese lunch, we will Visit the Xi'an ceramic and lacquer factory for a demonstration in pottery making, followed by time for souvenir shopping. Then we will visit the Big Wild Goose Pagoda, which is completed in 652 AD during the Tang Dynasty, houses Buddhist scriptures brought to China from India by the famed monk Xuanzang. The translation of these scriptures into Chinese helped establish Buddhism as one of China's major belief systems, alongside Toaism and Confucianism. The seven-story square pagoda has towered over Xi'an for centuries, surviving wars and earthquakes.